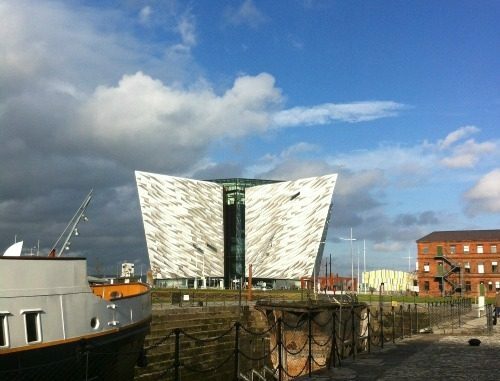 A big highlight of our visit was the Titanic exhibition, which is housed in a purpose-built Titanic-sized building in the docks area. It’s also right next to Titanic Studios where they film Game of Thrones, but alas there are no public studio tours planned until at least 2014. 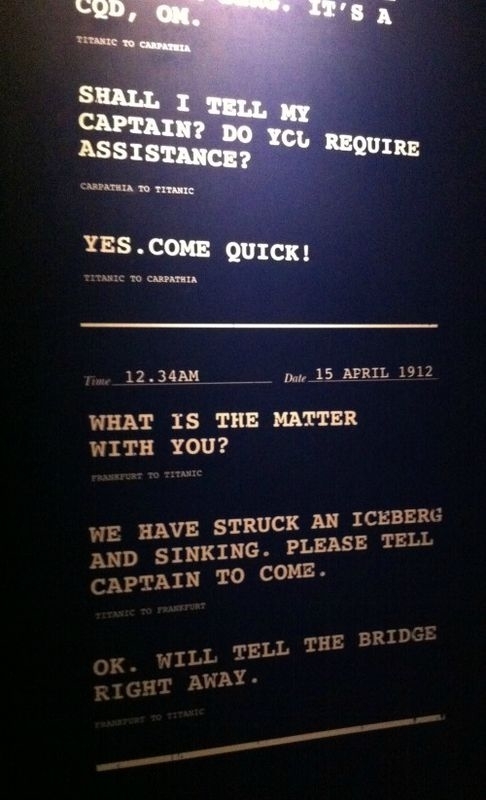 The Titanic exhibition tries very hard to make it all about more than just the iceberg. There are interactive displays and even a ride through the bowels of the ship. But you can’t escape the inevitable when you’re talking Titanic. 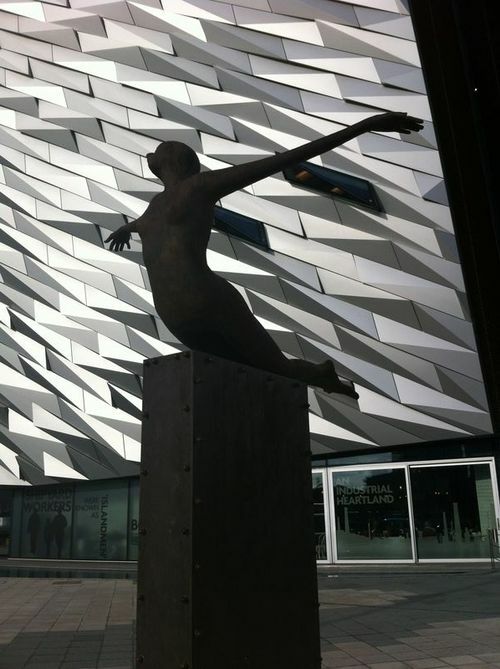 All in all this exhibition is definitely a must-see if you’re in Norn Irn. 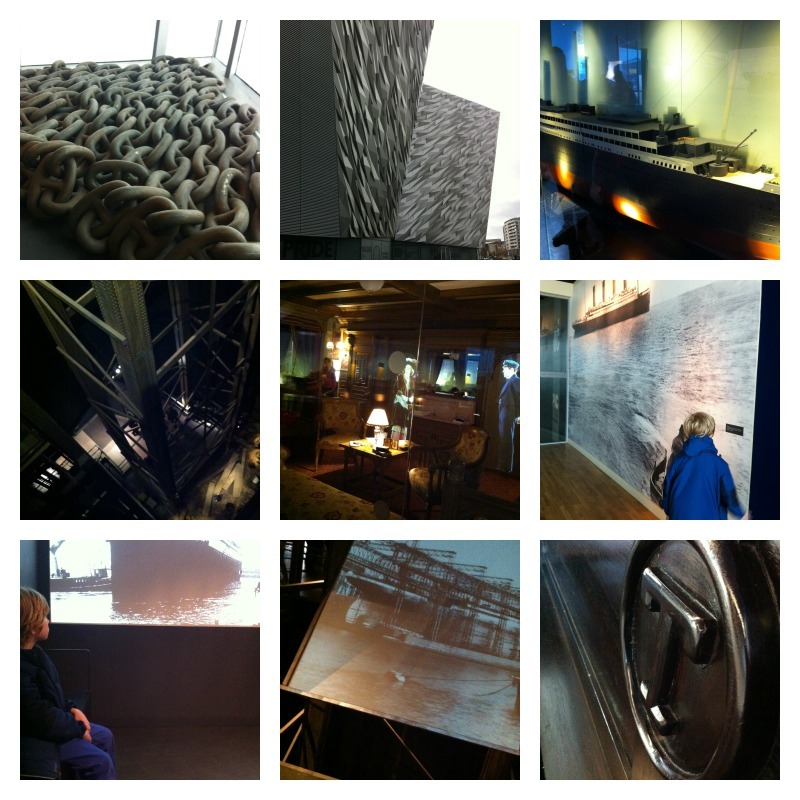 We also went to the Ulster Museum which is a great free resource. 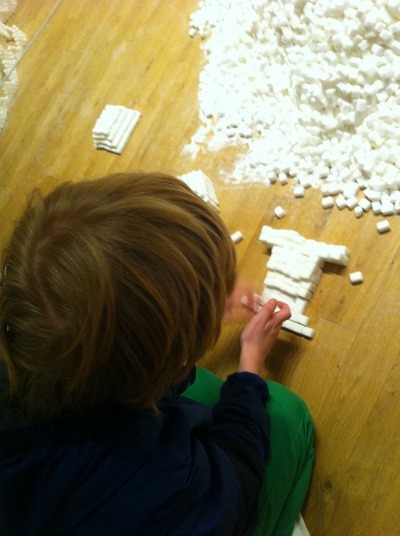 There was an interactive art work which involved children creating buildings out of lumps of sugar. And amazingly they didn’t eat any! The Ulster Museum is much like Brighton Museum in that it’s a blend of different exhibits reflecting both its own location and wider history. Plus a lot of random stuff like a super-creepy mummy that’s been terrifying children since forever. And at great personal effort we visited the Crown Bar, the only pub operated by the National Trust for tourists to drink Guinness in. It’s pretty cool though, you can sit in an exquisitely carved wooden booth and peep at people. 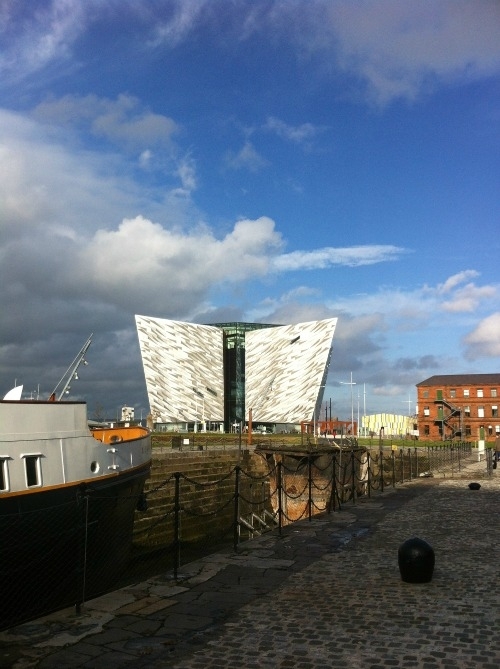 Belfast has changed immeasurably since I lived there, though the Crown Bar and the Ulster Museum remain constant. Inevitably the city has had to reinvent itself and I think on this evidence it’s doing a pretty good job. And soooo many coffee shops! No one in Belfast seems to make themselves a sandwich any more. It’s getting more like Brighton by the day.